The Kreate-a-lope® Envelope Maker makes envelope making so fast and easy, you will never want to use store bought envelopes again. In the past I've made envelopes by tracing a paper template then using scissors to cut it out. With the Kreate-a-lope® Envelope Maker there is no tracing or cutting required. and they are so easy that even my 5 year old can make them! You can even purchase a bottle of Lick & Stick glue which works just like the glue you find on store bought envelopes. Just glue around the top flap of your envelope and allow it to dry. Once you are ready to use the envelope just lick it and seal it. The Kreate-a-lope® Envelope Maker uses a simple 3 step process. Step 1. Place your template over your paper and tear off the excess paper. Step 2. Center your inner template and fold in the side flaps followed by the top and bottom flaps. Step 3. Glue your side and bottom flaps together then apply the Lick & Stick glue to the top flap and allow to dry. 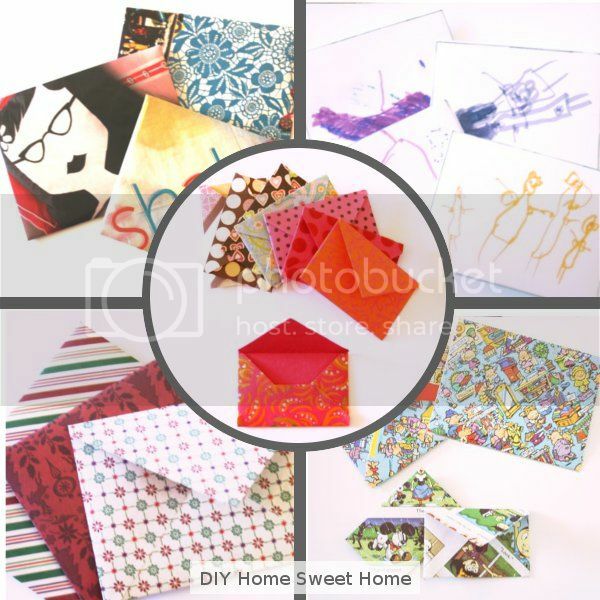 You can use the Kreate-a-lope® Envelope Maker to make envelopes from scrap book paper, magazines, kids artwork, newspapers, wrapping paper, posters, or any other paper product. *Warning* This product is addictive. Honestly, I wasn't expecting to love this product as much as I do. Here are my personal thoughts on the Kreate-a-lope® Envelope Maker . 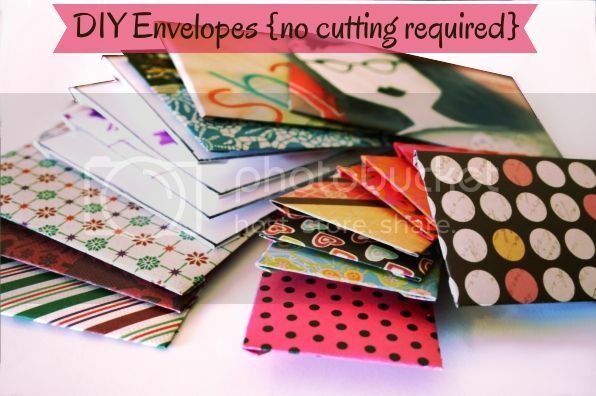 The Kreate-a-lope® Envelope Maker comes in a variety of sizes (and they are planning on making more) so you are sure to find any size your need. The price is very reasonable. The cost of one template is not much more than a small box of envelopes (or less depending on what type you usually purchase). I'm very frugal and my first thought was that I would rather save my money and use a paper template but trust me, the time you save on making envelopes with the Kreate-a-lope® Envelope Maker is well worth the money! My 5 year old is learning how to write and now that she can make her own envelopes she has been writing more letters than I can keep up with. For that reason alone, this product is definitely worth it. The Lick & Stick glue is amazing!! It seriously is as easy as it looks. It takes me about 20-30 seconds to make one envelope. This is so much easier (and cheaper) than running to the store to buy one. On a scale of 1 to 10, this product is definitely a 10 and I highly recommend it. 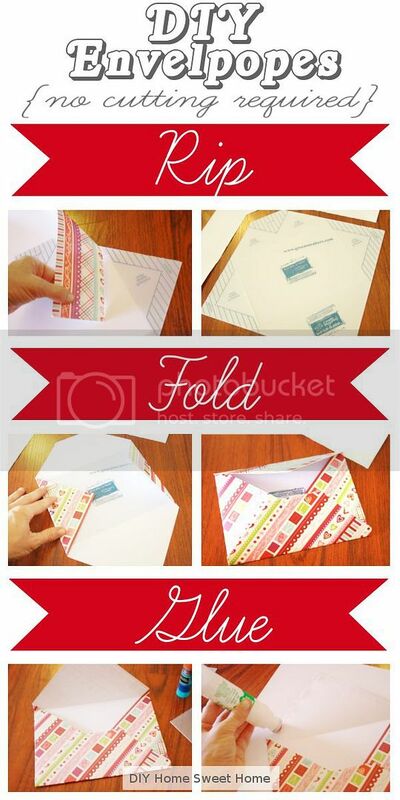 Here is your chance to win your own Kreate-a-lope® Envelope Maker!! To enter, head on over to the Kreate-a-lope® Envelope Maker kick starter site and take a look at there products then come back here and leave me a comment telling me what size of Kreate-a-lope® Envelope Maker you would use most. Contest will end Thursday, September 15th and I will be announcing the winner on Friday the 16th. Funds will go toward new packaging and new sizes. These are so awesome!! I am always trying to make envelopes out of recycled and scrapbook paper and they just don't seem to turn out right by hand. I would probably get the most use out of the standard Greeting Card 5 x 7 1/8. A close second is the standard invitation size 4 3/8 x 5 5/8. Love them! These are so awesome!!! I am always trying to make envelopes out of recycled and scrapbook paper and they just never turn out right!! I would get the most use out of the standard greeting card 5x71/8 but the standard invitation size is a very close second !! Love them !! This is such a neat tool to have! I think the standard greeting card 5x7 1/8 would probably work best for sending out christmas & birthday cards! I would use the A7 for sending handmade cards and the 5x5 to send out the year-end mix CDs my husband and I always make to commemorate the year in music. These look like fun. My daughters would love them. We would get the most use from #10 and greeting card size A6. i THINK THE A2 A3 but I would have to check my already made thank you CARDS to be sure- I love this product and hope it does well!!!! it looks fantastic! Wow! This sounds like a really awesome product to add to my crafting toolbox! And so many size options... Picking a likely face was difficult! But I think the A7- Standard Greeting Card size would be perfect! Thanks for the extremely helpful product info and awesome giveaway!! Oh wow! That sounds really fun!!! Oh the project life templates would get the most use at my house! I would love the 5x5 for CD's and A2 for card making! Such a great invention and so simple! I would love the A2 or A6 for my home made card. Thanks for introducing me to this product! That looks like so much fun. I'd use the a6 or a7 the most. These are the coolest envelopes ever! I love it! I usually use the A6 and A7 most of the time.